Age 13/14/15? | 1981/82/83? 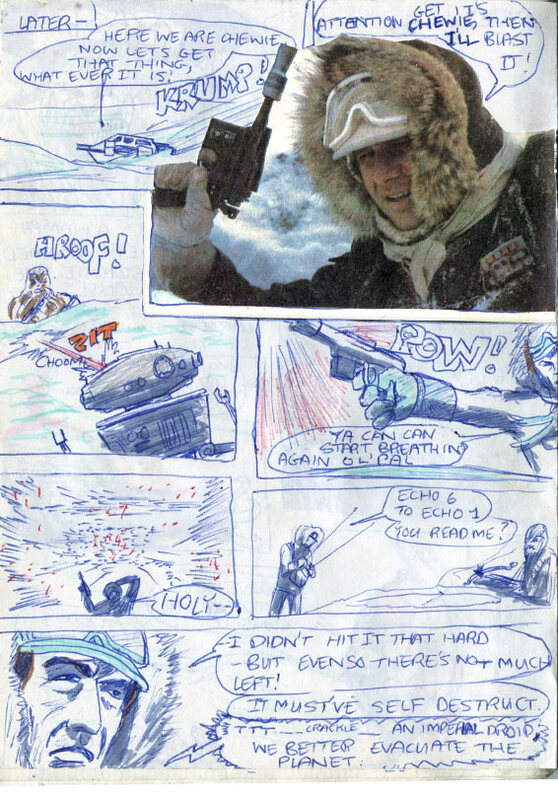 Han generously allows Chewie to be the one to stand out in the open and draw the probe droid’s fire. I can’t help thinking that there was some comedy potential in this scene. Was it ever intended to be funny? I think of Chewie refusing to dive into the garbage chute when Han ordered him to, so surely he should have refused to act as bait for the droid’s blasters? Unless his character arc since ‘Star Wars’ has already made him braver. 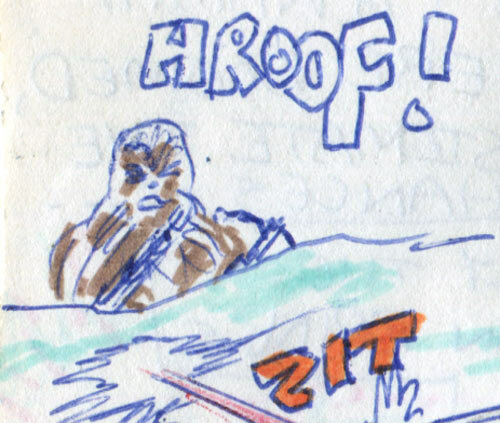 Instead, good ol’ Chewie dutifully sticks his head above the parapet and lets out a loud “HROOF!” at the droid. Han fires at the doorway (to scare off the dianoga). The noise of the blast echoes relentlessly throughout the empty passageway. Luke simply shakes his head in disgust. What’s this—cheating? With a ruler! Just one art note. 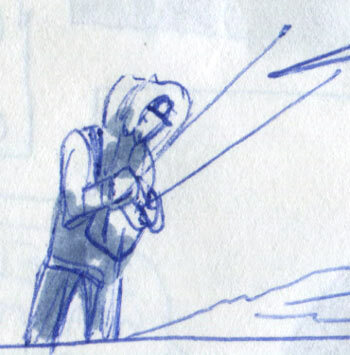 It’s very odd, but it looks as if I might have actually used a ruler to draw those antenae on Han’s transmitter in panel 5. What the hell..? Was I suddenly trying to be all, you know—professional, or something? I’d love to read your comments below! Do you think Chewie would be that obliging?